Welcome to the website for my forthcoming book Game Magic: A Game Designer’s Guide to Magic Systems and its accompanying software, The Arcana Ritual Toolset. 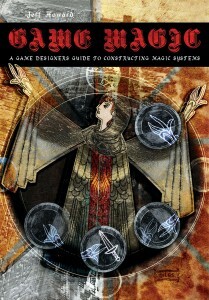 Game Magic is grimoire or cookbook containing recipes for making more immersive and engaging magic systems. The Arcana Ritual Toolset is an extensible, open-source editor for creating your own magic systems. A team of Dakota State University students, including Greg Roling, Matt Isler, Ryan Johnson, Scott Jonker, and Matt Nelles, is developing this game. We like to think of the Toolset as the Minecraft of magic systems. The Arcana Toolset is the extension and spiritual successor of Arcana: A Ceremonial Magick Simulator. The simulator was developed by a team of Dakota State University students including Landon Anker, Daryl Bunker, Pat Gilmore, Larry Tiang, and Travis Till. 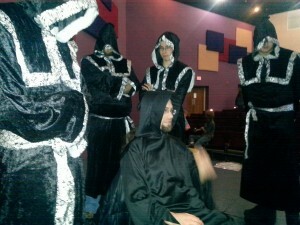 I am Dr. Jeff Howard: Ludomancer, Technomage, and Occult Game Designer. Here is a link to my current CV, showing research, creative projects, teaching experience, and service. I am Assistant Professor of Game Development and Design at Dakota State University, where I play a key role leading the narrative focus area in the Computer Game Design program. 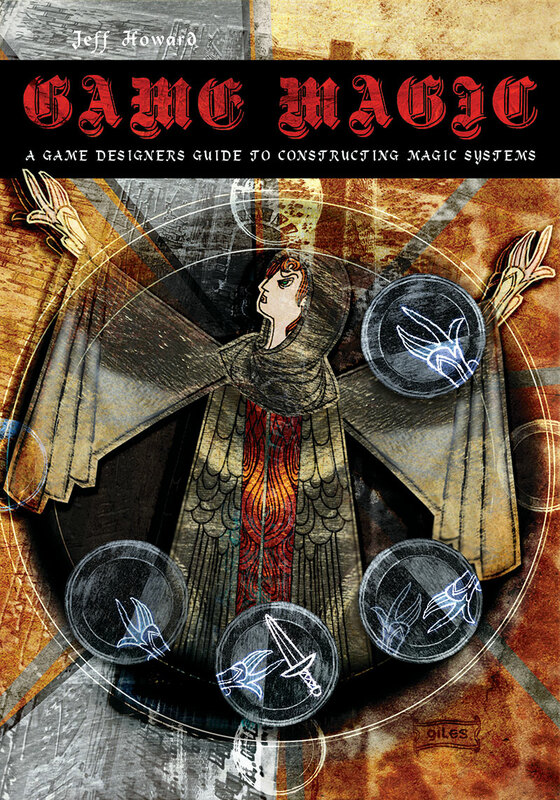 I am the author of Game Magic: A Game Designer’s Guide to Constructing Magic Systems (forthcoming April 2014) and Quests: Design, Theory, and History in Games and Narratives (2008). I have spoken at GDC Online on “Occult Game Design: An Initiation into Secrets and Mysteries” and the Singapore-M.I.T. Gambit Game Lab on “Magic Systems in Theory and Practice,” as well as participating in panels at George Mason University and the University of Connecticut. I am also the program committee chair for the Workshop on Integrated Design in Games (IDIG), an annual conference that has hosted such eminent speakers as Ken Rolston, Richard Dansky, Matt Forbeck, and Chris Pruett. Currently listening to the interview on Expanding Mind podcast and I’m really digging it and planning on buying the Game Magic book. The podcast was posted on the Reddit subreddit /r/gamearcane/ which is for relating and interpreting video games from an occult view and your book is right on the mark. Check it out, your book will definitely be included for recommended reading material. Can’t wait to read the book! Thanks so much! (And sorry for the late reply. I’ve been doing development work on my game all summer and not blogging much). I’m glad to hear about the r/arcane subrredit, and I appreciate you including my book on your list of recommended reading. Please keep in touch! It’s great to talk to people with common interests. 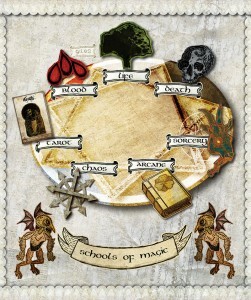 is this an online game or a real school of magic if its a real school of magic how to enroll in this school? Hi, Jomari. Thanks for your inquiry. The website is my personal site. I teach game design at Dakota State University, I wrote a book on magic systems in games called Game Magic, and I am making a ritual magic simulator called Arcana. I do not operate a school of occult magic. Rather, I practice game design in ways that are influenced by the occult.